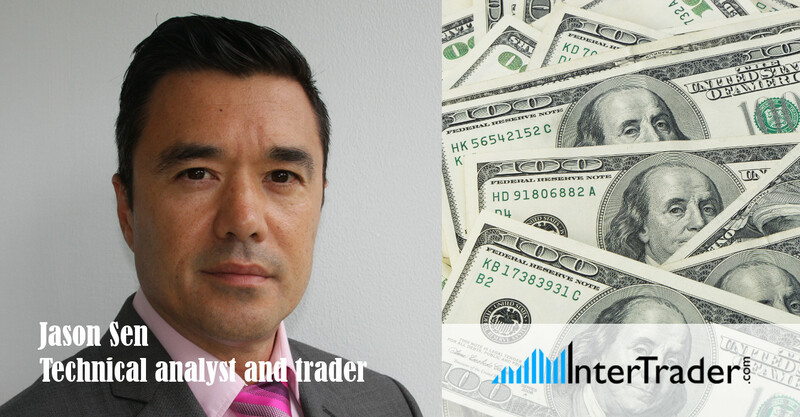 In my posts this month I have focused on WTI crude, the US dollar and Bitcoin. Today I’d like to run over further developments in these and other related markets. The US Dollar Index is testing longer-term Fibonacci resistance at 94.20. The index has become severely overbought after a strong recovery over the past four months. Obviously if this holds (as I think it will) we are going to turn lower. I thought the negative candle on Friday signalled the turn in overbought conditions but we unexpectedly bounced back yesterday to re-test the Fibonacci level and would you believe we topped exactly at 94.20. It is entirely possible that this rally only served to unwind the oversold conditions on the weekly chart. In this case the index will now resume the longer-term bear trend, after many of the short positions have been squeezed out. Bulls at least require a weekly close above 94.00 tomorrow night to remain in control. Assuming I am correct and the dollar has just peaked, we should test one-month trendline support at 93.50/93.40. This is likely to hold on the first test and probably see a significant bounce. However, a break lower eventually then targets 93.05/92.95. Once this support gives way we should be headed towards 92.20/92.00. Long positions in EUR/USD at important support at 1.1730/00 can be held as we hold above the stop level of 1.1670 in severely oversold conditions. I am still expecting a recovery, targeting 1.1750, 1.1795/99 and perhaps as far as strong resistance at 1.1860/70 for some profit-taking before the weekend. A break lower however is a sell signal. This is despite severely oversold conditions targeting 1.1630/20, 1.1585/75 and the November low at 1.1555/50. US 10-year T Notes have seen a very strong bounce to the upper trendline of the channel as you see in the chart below. There is therefore a good chance we’ll turn lower. AUD/USD dipped further than expected, breaking 7530 to stop out long positions before a bounce from 7520. I thought we had a bullish head-and-shoulders reversal (with the neckline drawn in the chart below) but this pattern failed yesterday on the pullback. The pair is building a very slow recovery. I think this can continue higher but we’ll need to beat 7565 and then 7580/85. Once we sustain a break above here we target 7600/05 and 7655/60 before strong resistance at 7685/90. WTI crude oil topped just below our target and very important 500-day moving average resistance at 73.00/10. The sharp sell-off leaves a reversal day in severely oversold conditions for a minor sell signal. It is worth being short with stops above 7350. There’s a good chance we’ll see a decent correction now to ease overbought conditions. Holding below 7220/25 today targets 7185, 7155 and then best support at 7120/10 (this held perfectly yesterday). However, be ready to sell a break below 7100 targeting 7080, 7060 and perhaps as far as 7020/10 for profit-taking on shorts. A move above 7225 allows a recovery to 7280 with the big resistance at 7300/10. Bitcoin tested important 10-month trendline support at 7700/7650 but overran as far as 7435. This is the best chance bulls have had for a month. We could see a similar recovery to the one in April now. Bulls need to beat 7800 to start to gain control and then target last week’s low at 7925/30. We hit minor resistance at 8000/8050 but a move above here targets 8200, perhaps as far as 8380/8400. If we cannot hold above 7400 then bulls have lost the battle at the trendline. The outlook would then turn significantly more negative. I see no reason for us not to re-test the April low at 6500/6450 but I doubt it will hold this time.